Dental technology is a complex mix of various components from a multitude of different companies. These components include practice management software, clinical software, patient education software, digital x-rays, intra-oral and extra-oral cameras, digital pan/ceph, etc. Whether you plan on a simple offering of practice management software or a complex system of all available technologies, you need a strong foundation to function properly. DDS Computers is your partner to provide this foundation. 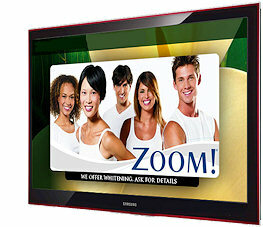 DDS Computers will provide you with the best dental IT computer system for your technology needs. We will evaluate your needs for today as well as for the future and offer options to best fit your needs. A server is a computer on your network which is the center of your technology foundation. It is where your data is stored and where all of your information is fed to your workstations. 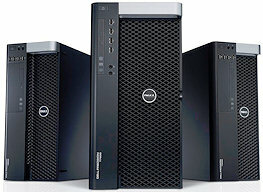 Stability and security are the major factors to consider when choosing a server computer. 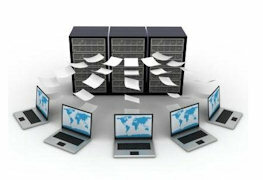 A dedicated server is one which is not used as a workstation. Its only function is to store data and feed information to your network. DDS Computers recommends a dedicated server when an office has at least 10+ computers or has any imaging technology such as digital x-rays. For offices with practice management software only, a server/workstation is sufficient. 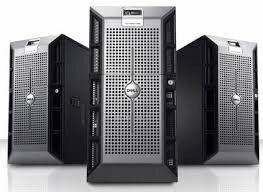 Contact us for a FREE evaluation of your server or if you are considering an upgrade to your current server due to an upcoming technology purchase, call 972.854.6246 today! A workstation is a computer on your network which is used to perform functions such as check-in or check-out, schedule patients, chart treatment or take x-rays. The number of workstations on your network can be limitless, depending on your practice management software. DDS Computers typically classifies workstations as Administrative or Clinical, depending on the function of that computer. Administrative and Clinical workstations have different specifications such as dual monitor capabilities. 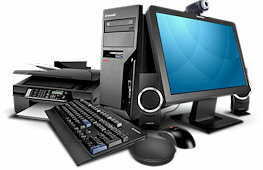 A workstation can also act as a server on smaller networks. DDS Computers recommends this setup for practices without operatory (Clinical) computers. If the doctor has a laptop or a Tablet PC which is used at the office and is taken home, it is considered a workstation on the network. Contact us for a FREE evaluation of your current workstations or if you are considering adding computers to your network, call 972.854.6246 today! A peripheral component is classified as any component that connects to your computer or network. This includes printers, scanners, network switches, cameras, digital sensors, etc. Dental practices will have several types of printers. A laserjet printer is good for general office reports, patient receipts and bulk printing. All-in-one functionality allows you to also use this printer for scanning and faxing. An inkjet printer is used for image printing and for presentation prints. A separate scanner can be used for daily scanning of intra-oral, panoramic, or cephalometric x-rays. This requires the use of a transparency adapter. The speed of your network is determined by your network components. It is only as fast as your slowest component including network cards in your computers, your network switch and your network cabling. Gigabit network cards and switches currently provide the fastest network speeds. Contact us for a FREE evaluation of your network components or if you are in need of an x-ray scanner or any other peripherals, call 972.854.6246 today! 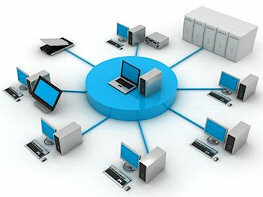 A Computer Network is made up of various components which make the network work as a unit. These components include Servers, Monitors and Peripherals as mentioned above along with Media, Storage, Software and Security. 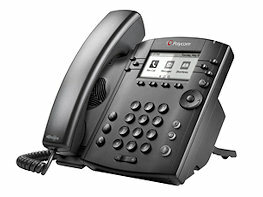 DDS Computers offers all of the components you will need along with the customer support to go along with them. If your network has internet connectivity then you must have some sort of protection from intruders, viruses, malware, spyware, etc. Inevitably you will encounter an infection of some sort during the life of your practice. Internet connectivity is a necessary evil for insurance claims processing, prescription research, email, etc. Computers are vulnerable and you can protect your network by following some simple preventative and recovery procedures. DDS Computers represents an industry-leading internet protection suite of products for our customers through AVG Technologies. Data backup and recovery is a critical component of your computer network. With proper systems and procedures in place, you can prevent a catastrophic data loss disaster. DDS Computers incorporates a multiple backup strategy. Network backups or server redundancy provides a good on-site security system. External hard drives and/or internet backup services are a great solution for off-site protection. The DDS backup solution is a secure off-site solution. DDS Computers can help you decide on the backup solution right for your practice. Contact us for a FREE evaluation of your data security, call 972.854.6246 today! Multiple monitors in your dental office provides a great patient experience as well as increasing your ability to educate them. Mounting a second monitor in your operatories provides the ability to display x-rays, camera images and patient education videos for the patient while keeping your charts and notes on the main display behind and out of sight of the patient. Televisions mounted in your operatories displaying movies or cartoons can provide a calm environment for your patients and a distraction to the procedure being performed. Televisions can be mounted on a wall or from the ceiling. 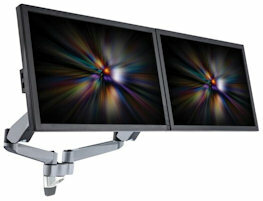 Contact us for a FREE evaluation of your mounting needs, call 972.854.6246 today! DDSComputers can guide you through the maze of audio/video solutions including background noise with the use of speakers throughout the office hallways, DVD and TV signals piped to each of your operatories for patient comfort, etc. WEAVE, beautiful software that syncs with your dental software. Weave will help you communicate more effectively with your patients. Weave replaces your current phone provider, giving you unlimited lines, unlimited long distance, and unlimited local calling - all in one simple, convenient package. Weave provides true two-way text messaging, allowing you to text message back and forth with your patients just like you send and receive texts with your cell phone. Weave syncs with your dental software. When a patient calls your practice, everything about them will automatically pop-up on your computer screen. You'll be able to accomplish more. Through the intelligent use of Smart Lists, Weave allows you to automatically send birthday and appointment reminders with the ability for your patients to text you back. In today’s world, you need to protect your business, your staff and yourself more than ever. Camera systems offer protection and prevention from poential criminal activities and provide you with evidence in the event you are a victim. 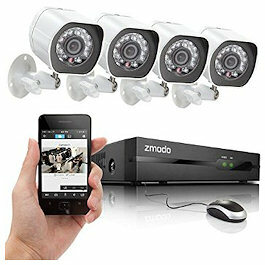 We offer wireless and DVR systems with plenty of storage space, so you can review events from days or even weeks past. There are many options to choose from for your cameras system including bullet or dome style, day and night, and high definition cameras. Contact us for a FREE evaluation of your current security camera setup or if you are considering adding security cameras to your office, call 972.854.6246 today! Las Colinas, Midlothian, Desoto, Duncanville, Waxahachie and many outlying communities.